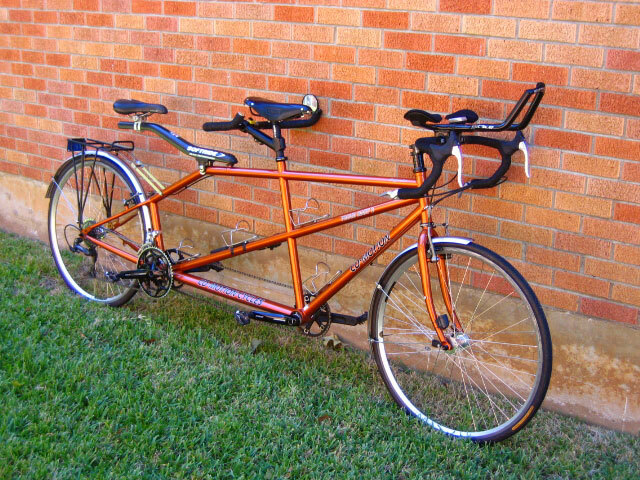 Here are some pics of our C0-Mo tandem-It's big big big and orange orange orange! We took delivery of this fantastic bicycle in April 2006. Our old Trek T-100 had served us well for 6 years, but the fit was less than ideal for us, so after a test ride we bit the bullet and ordered the Co-Motion. It is like a big Mercedes sedan-smooth, stable, quiet, and deceptively fast. 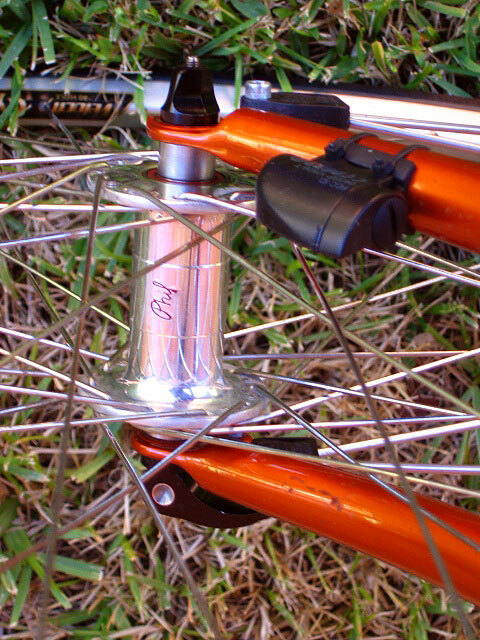 Components are the standard Co-Mo package, other than the saddles and the wheels. 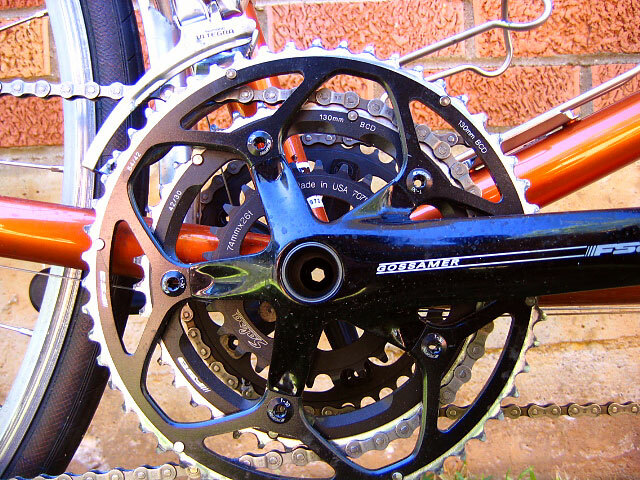 The 26-42-54 chainrings and 11-34 tooth cassette handle any road. Not much real need for fenders in Texas, but they look nice. 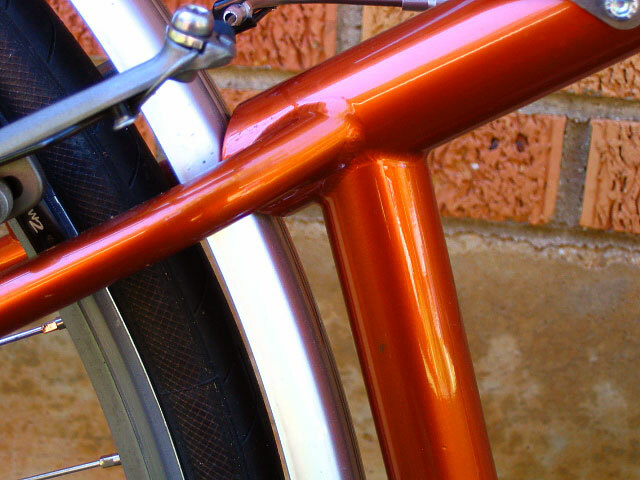 Incredible welds and paint job-it really sparkles in the sun. 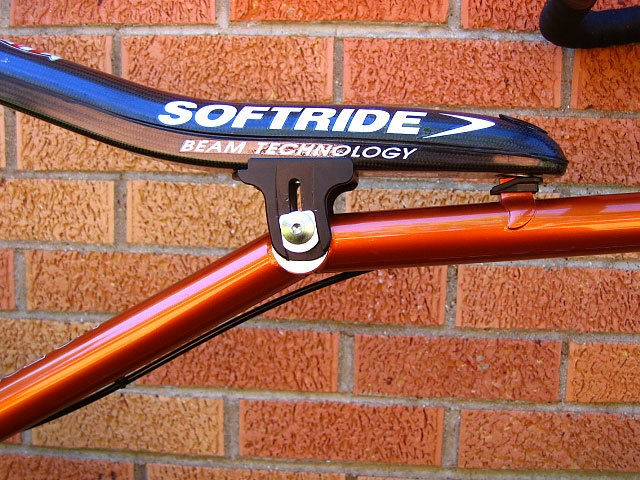 The Softride beam works as claimed-less shock for the captain, too.